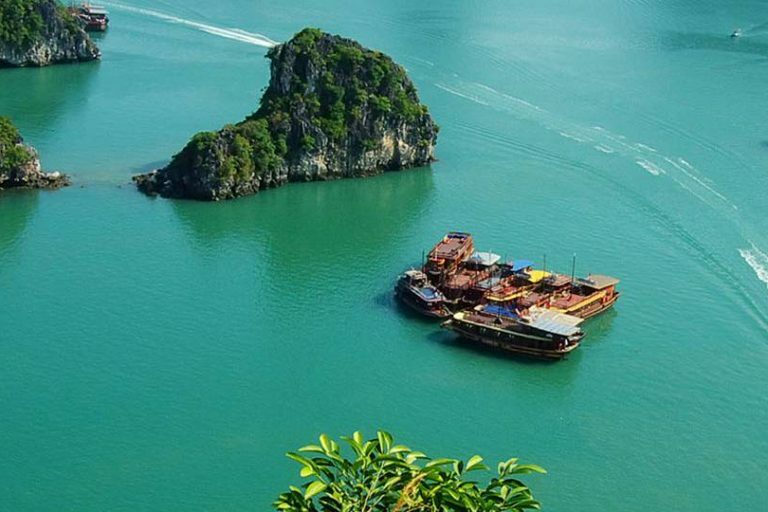 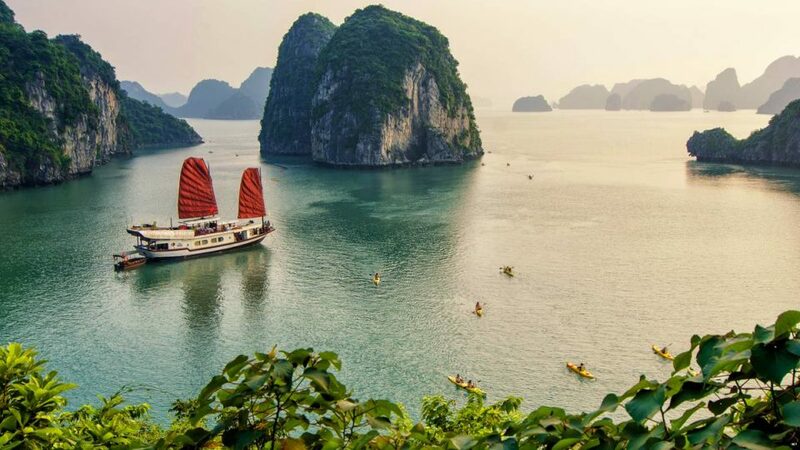 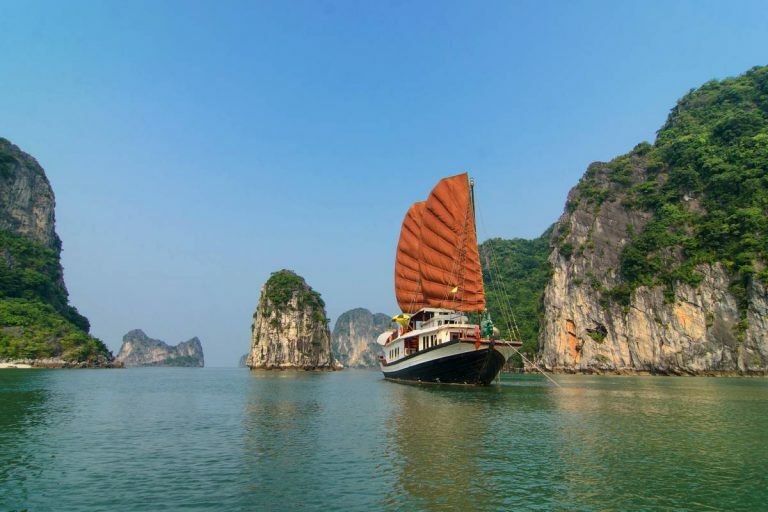 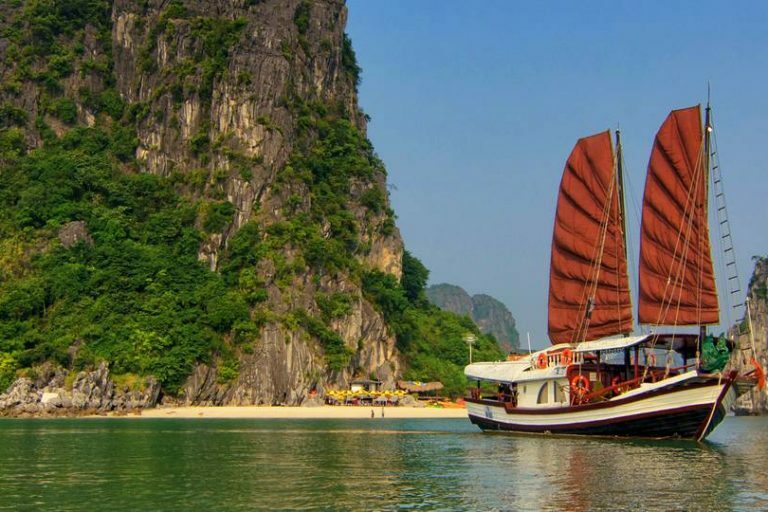 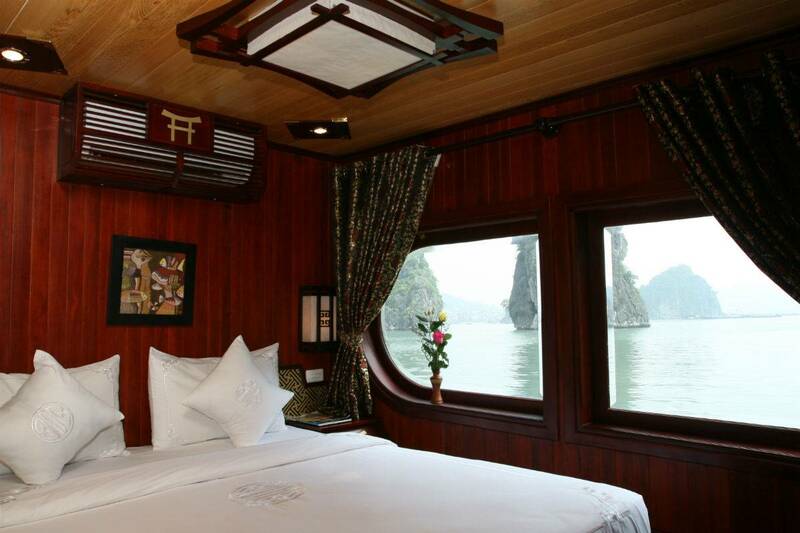 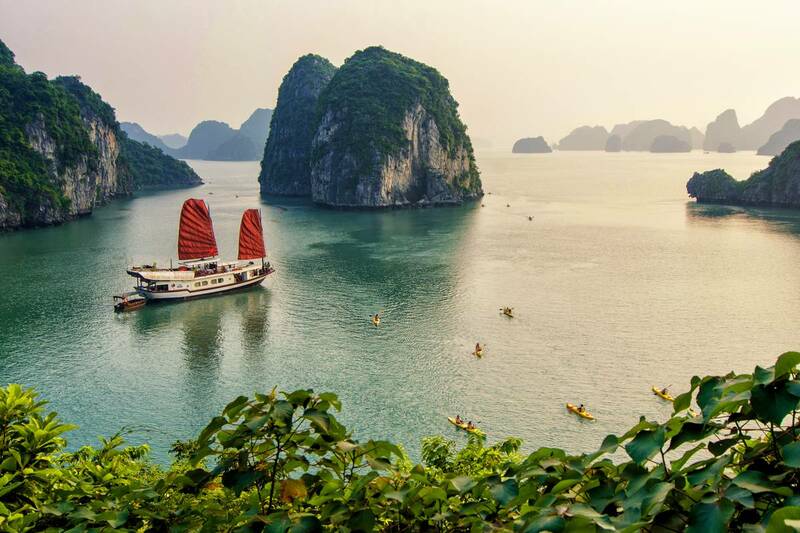 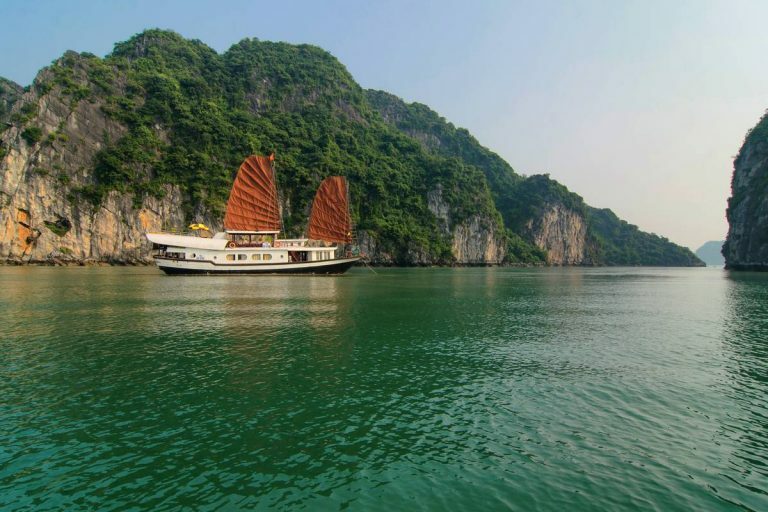 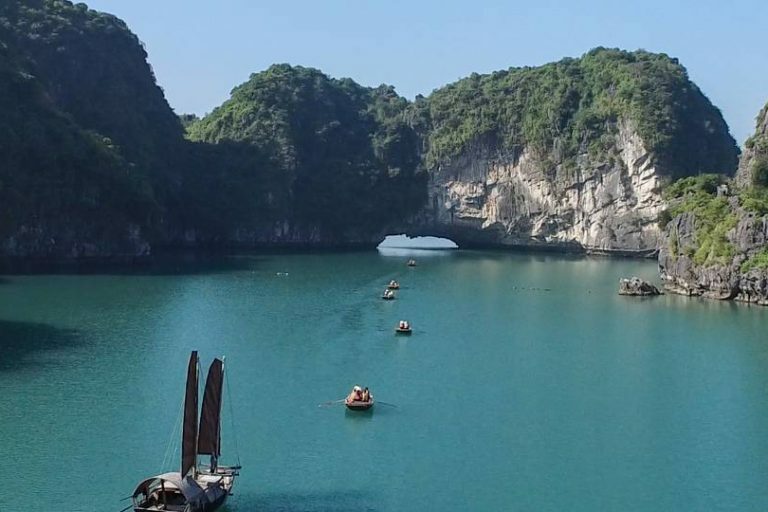 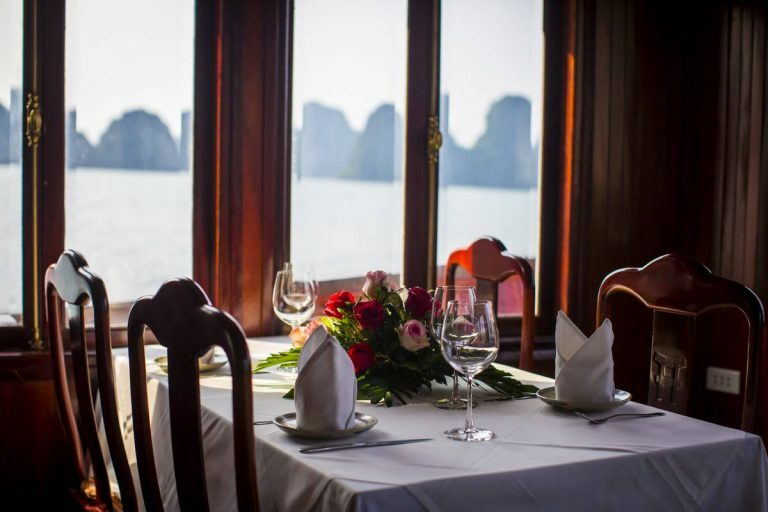 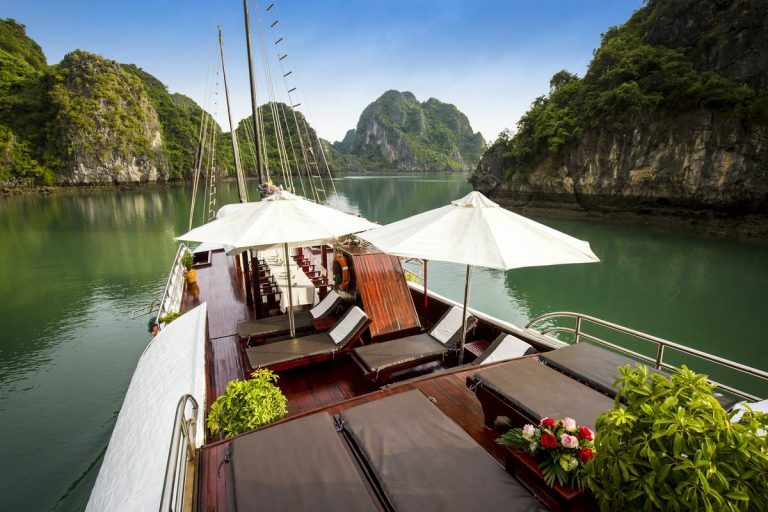 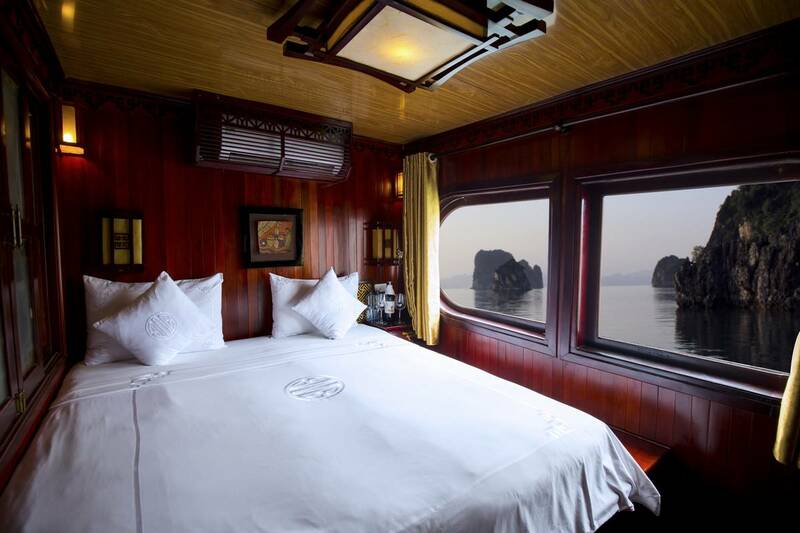 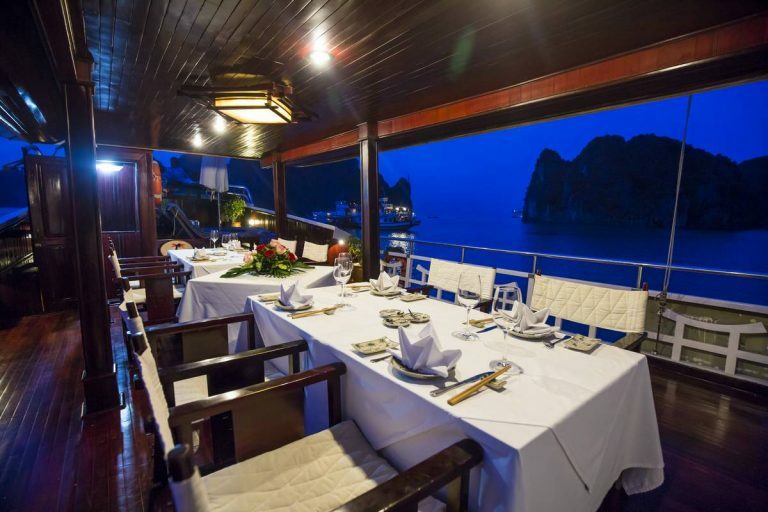 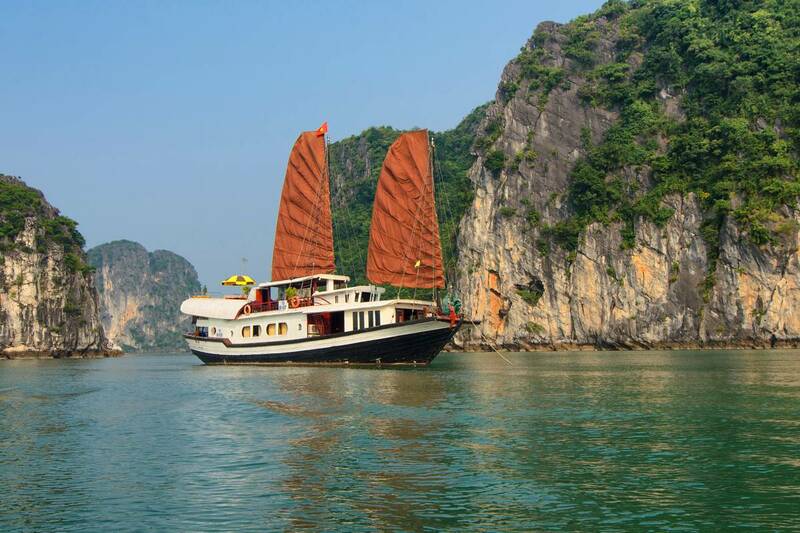 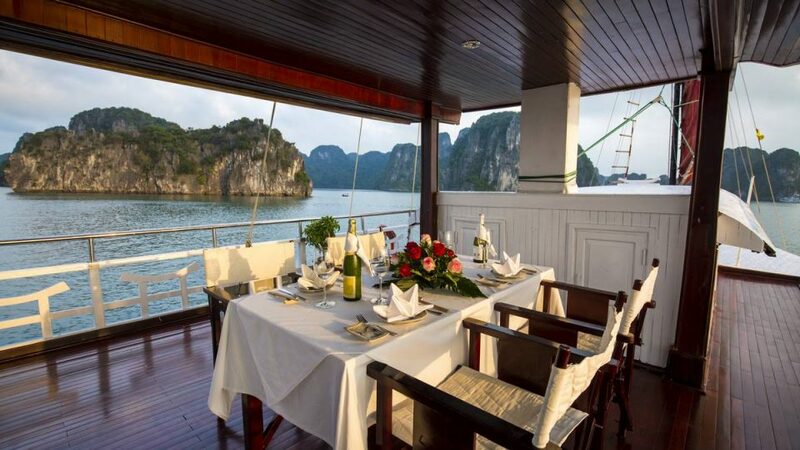 Prince I has 2 cabins, perfectly suitable for a family including parents and children enjoying the magic of Halong Bay together. Prince II and III have similar designs and service facilities to accommodate a group of up to 8 persons, or couples sharing trips. 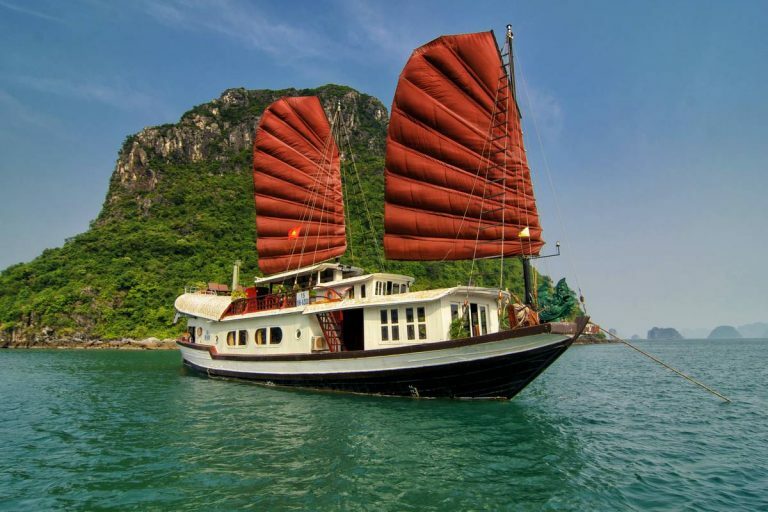 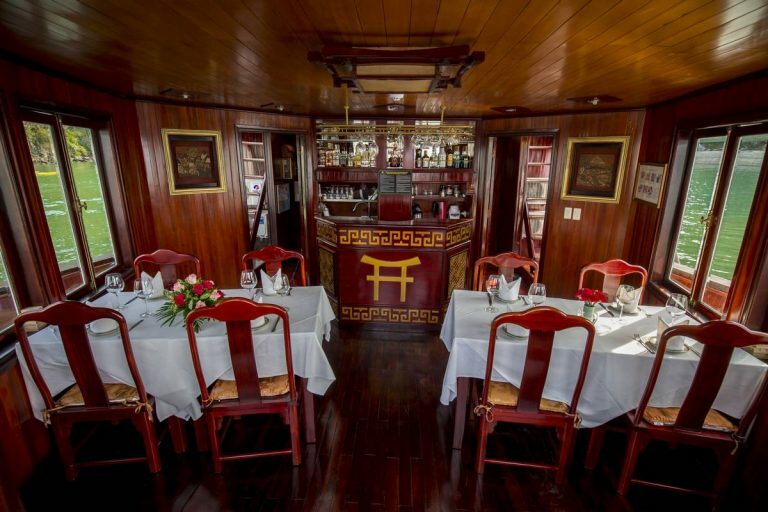 Prince IV with 3 cabins provides a comfortable stay for charter groups, a family, or couples sharing the boat (Prince IV Junk has been renamed Dragon Bay cruise since 2017). Like all of our boats, Prince Junk is designed with sophistication and a meticulous attention to detail for our guests’ enjoyment. 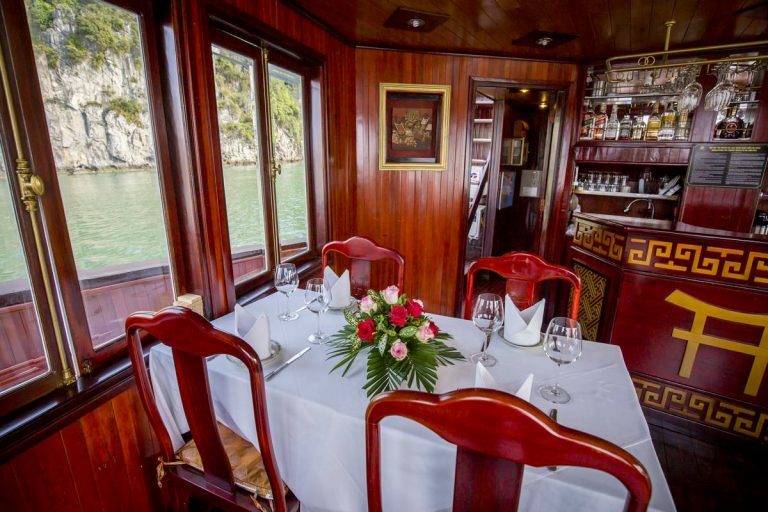 It features 2 decks with dining areas inside and outside, and traditionally decorated cabins with a sea view window, where you can relax and admire the marvelous view. 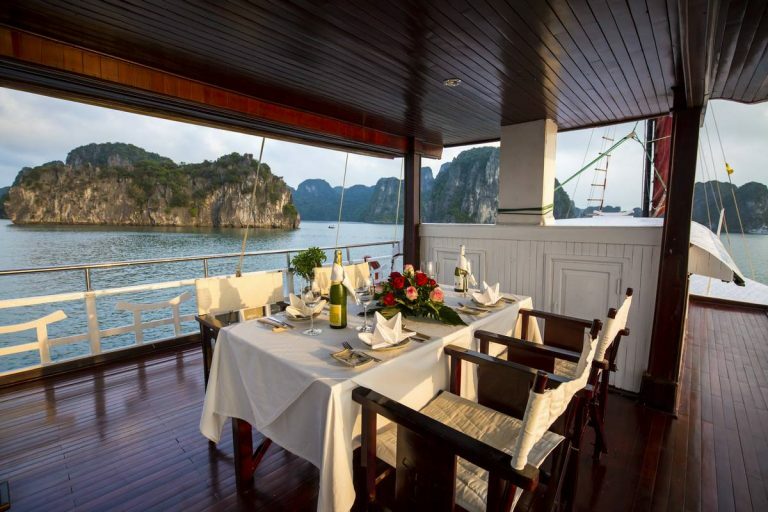 Our crew, with their warmest hospitality, enhances your cruise. 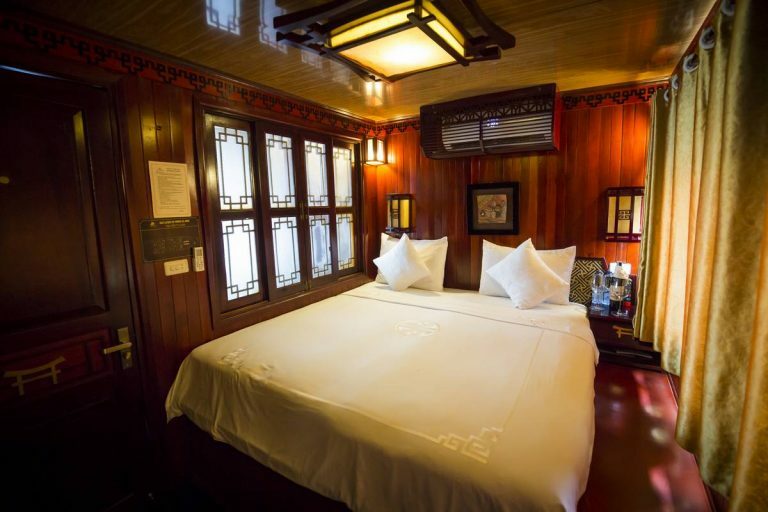 From the time you step aboard, to the time you check into your cabin, or when you are relaxing on the sun desk, you are surrounded by teak and oak paneling and furniture, all constructed by our skilled craftsmen. 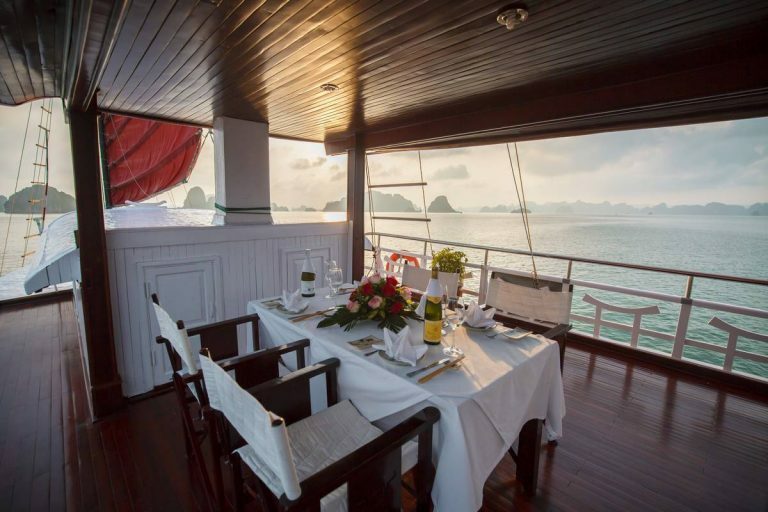 This makes the Prince, together with our L’Amour Junk, the outstanding members of our Royal family. 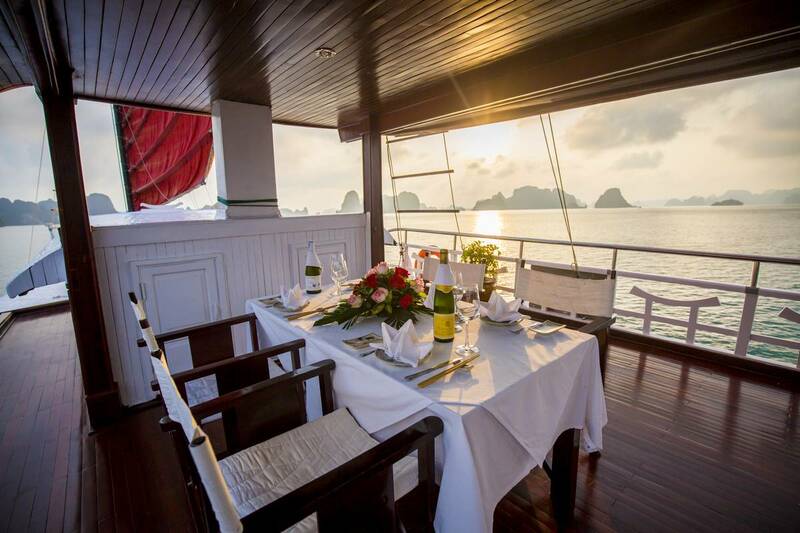 The Prince Junk is the perfect choice for families, couples or small groups.